Millie and I spent a bit of time observing this scary guy the other day trying to figure out exactly what it was. Looks kind of like a wasp with a muff. Educate me on insectology? What the heck is this thing? Were we right to be scared of it? 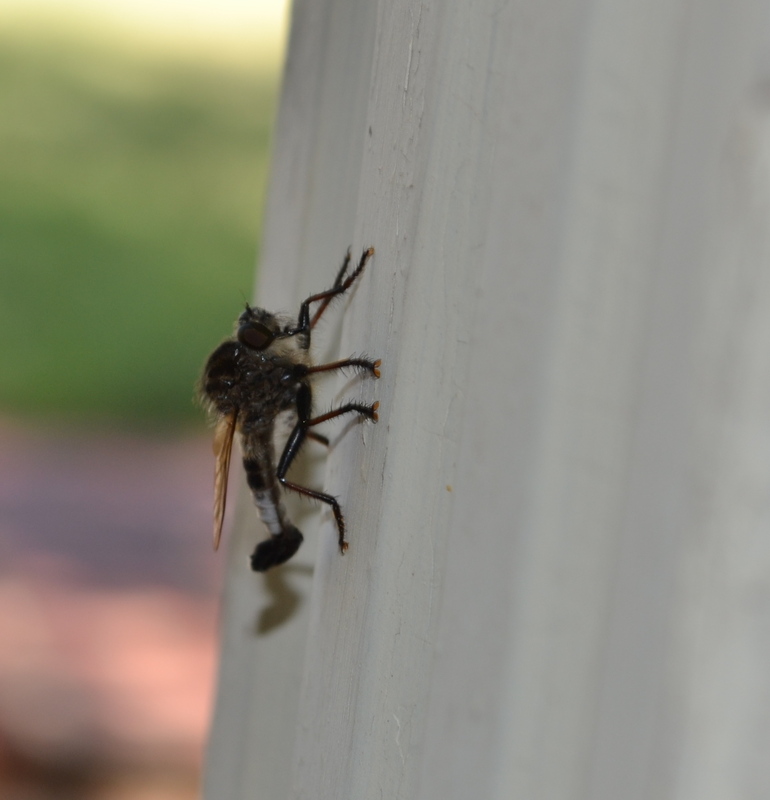 So I was told it’s a robber fly. Works for me! I wouldn’t want it to “rob” me!